Hi guysssss, I’m back! Well, almost anyway. I’ve finished all my coursework for the year and it was such a traumatising experience. I mean, when your laptop breaks the DAY before 11,500 words worth of essays is due in, it’s stress, trauma, panic and all the rest of it! I’m not sure how I emerged alive and well out the other side but I did! Yesterday was the first day that I hadn’t spent the WHOLE day in the library in like well over a week and I had serious baking withdrawal symptoms. Naturally before I knew it, the whole house had a faint aroma of bananas and cake. It was comforting. 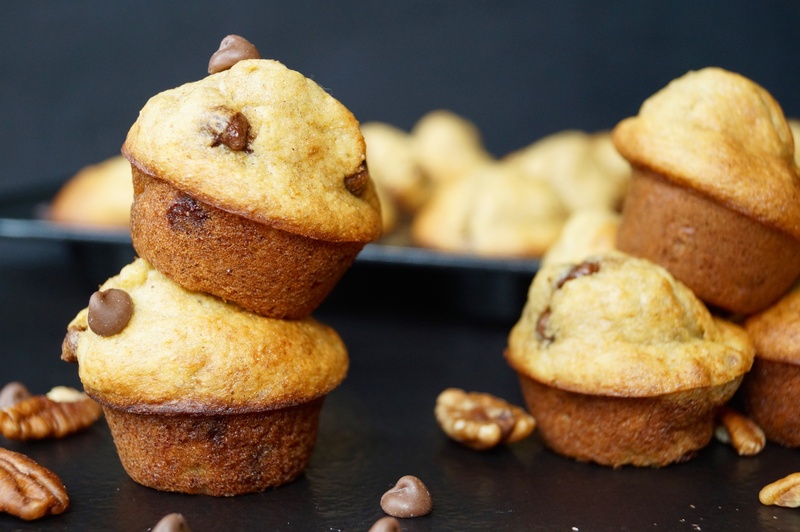 And that’s exactly why you should make these tiny cute adorable mini muffins! 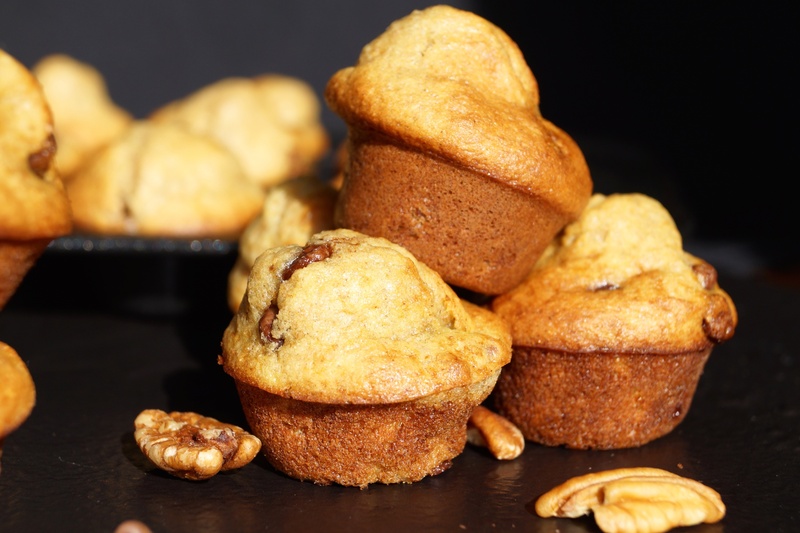 They’re basically a bitesize version of my Quick & Easy banana bread but I couldn’t resist – I feel like my mini muffin tin doesn’t get enough love! As they’re lightened up with greek yoghurt, whole wheat flour and sunflower oil, you don’t even need to feel bad while eating them – win/win. 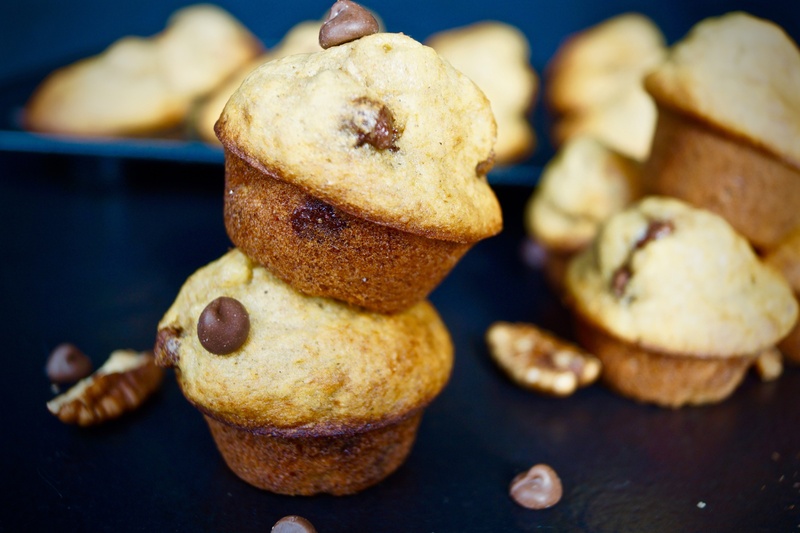 I realise this is not a ‘healthy’ food blog but seriously, these taste just as good as buttery, fudgy banana bread and as you know, I LOVE baking with greek yoghurt! Personally I don’t tend to eat what I bake because I don’t have that much of a sweet tooth and sugar makes me crash big time, but this recipe is a staple in my daily life, not even going to lie. 7) Add the rest of the flour but mix by hand, you don’t want to overwork the gluten and get tough muffins! I love my mini cupcake pan! I am 6 weeks away from graduation, Cannot wait!! !